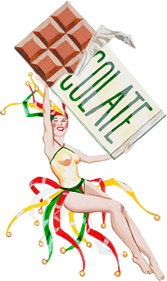 At The Chocolate Fetish, our aim is to create an easy, secure shopping environment with the utmost consideration of your privacy. Should you have any question about our policies, please feel free to contact us. We look forward to sending you the best chocolate available. Our normal shipping method is via United States Postal Service Priority Mail, 2-3 day delivery. Normally your order will be shipped within 24 hours of receipt and many are shipped the same day the order is received. You may also specify a shipping date that works best for you. We may choose not to ship over the weekend so we cannot guarantee Monday deliveries – sorry. When warm weather conditions exist special insulated containers and reusable cold packs are included to protect your order. When temperatures exceed 80 degrees we may opt to hold orders placed Thursday – Saturday for shipping the following Monday. A handwritten complimentary gift card may also be included with your order. Just tell us what you would like to say in the order notes section on the checkout page. If you would like to delay the shipment of your order for any reason please let us know the date you would like to receive the order and we plan to get it there on or shortly before that date. We also offer overnight delivery via FedEx – please call for a quote. Shipping costs are for one delivery address and include the cost of the materials, shipping, and handling. These costs apply to the continental US only. For shipment to hot climates (Over 95 Degrees Fahrenheit) we must ship via FedEx Overnight. Wrong Address: Due to the perishable nature of our handcrafted chocolates, if you provide us with the wrong address and your package is returned to us we must open the package to check the quality and freshness and prepare for reshipping. You will be responsible for any additional charges and will be contacted by us. Please check the ship to address carefully. Your complete satisfaction is our goal. If, for any reason, your order does not arrive in good condition or is incorrect simply return your order within one week of receipt. We’ll send you a prompt refund or replacement, whichever you prefer. Please include a letter specifically explaining your reasons for the return and indicate whether you’d like us to issue you a replacement or credit. For identification purposes, you must include the shipping label from the outside of the original package. The Chocolate Fetish would like to ensure that your transactions with us are secure. Our shopping cart system utilizes 128 Bit Secure Socket Layer Technology to encrypt your credit card data for processing on our server. This precaution alleviates the risk of hackers intercepting data including your name, address, credit card number, or email address. When you create a customer account with us your credit card information is never captured. We take the responsibility of doing business on our website very seriously and proactively monitor the security of the site at all times. The Chocolate Fetish understands that maintaining your privacy online is important. Personal information obtained from our website including your name, address, credit card information, email address, and IP address is held in the strictest confidence. Please rest assured that our business does not distribute your personal information beyond its doors. Should you have any questions about our measures to safeguard your personal information please contact us. “I just wanted to take a moment and thank you for such fast shipping. Here it is just two business days later and my order is here. Not only do you have the best chocolate but also the best service. Thank you.” – W.F.